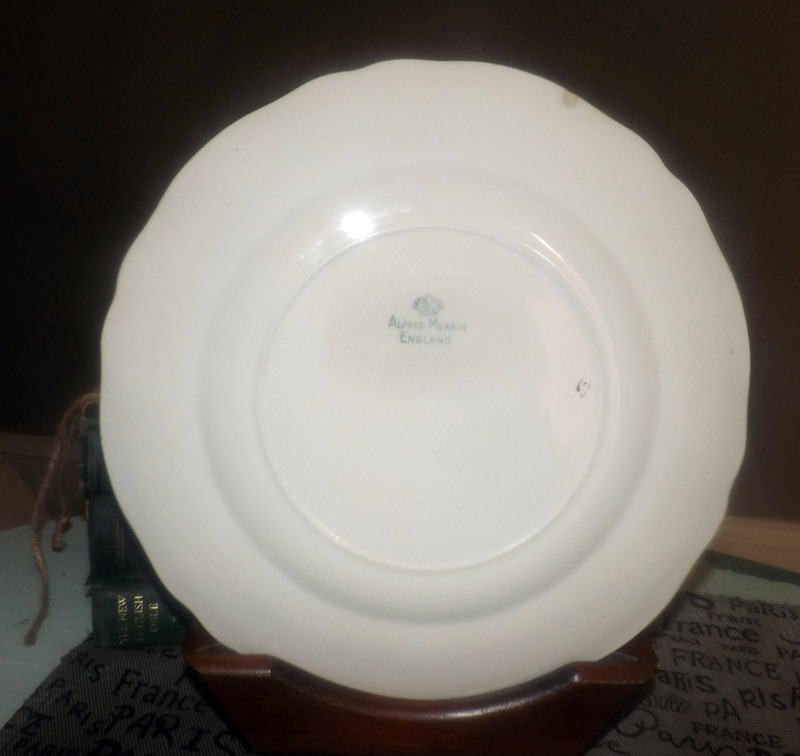 Early mid-century (1945) Alfred Meakin England MEA384 dinner plate. Green band, cream ground, platinum edge. Flawed (see below). 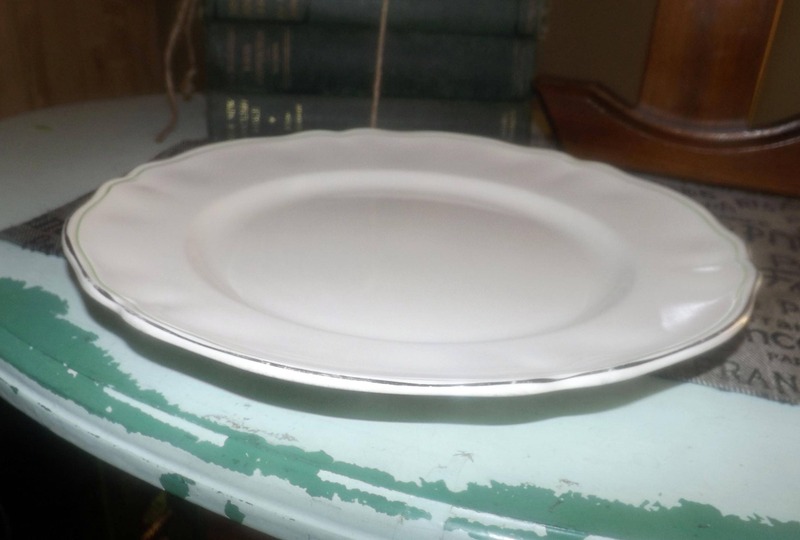 Early mid-century (mid 1940s) Alfred Meakin England MEA384 pattern (replacements.com) dinner plate. 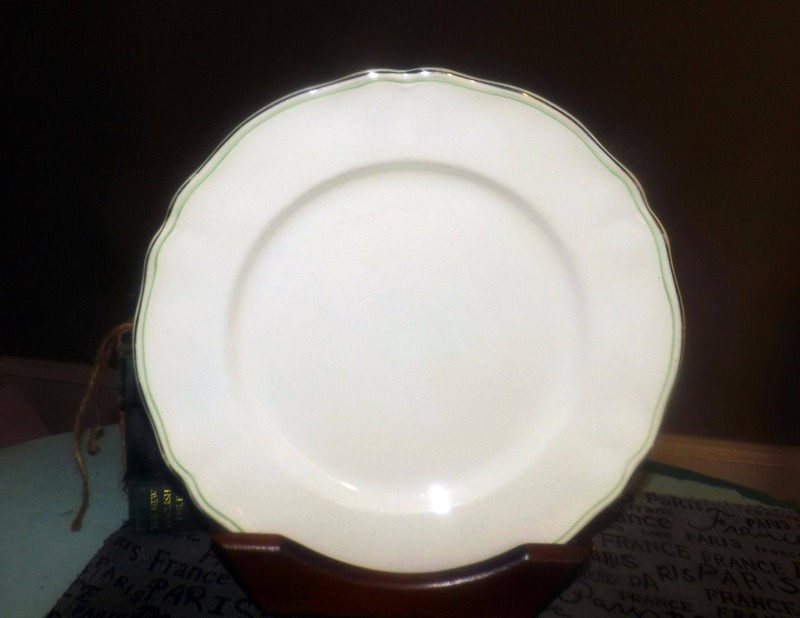 A very hard-to-find mid-century Meakin pattern, MEA384 features green band about the perimeter set onto a cream ground with a scalloped, platinum edge. This plate has a WEE! 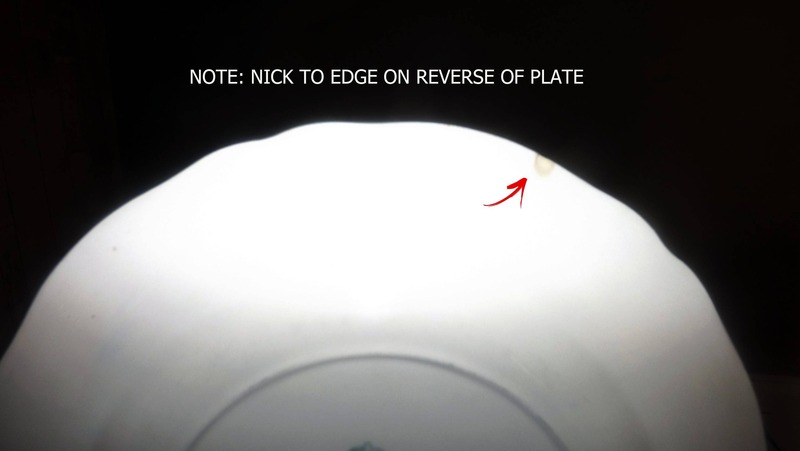 nick to the edge on the REVERSE (please review each of the posted photos for a complete visual of the item) but otherwise, there are NO! other chips, nicks, or fleabites, NO! cracks, MINIMAL TO LIGHT! crazing and MINIMAL loss to the scalloped, platinum edge. Approximate measurements: 11" in diameter with a scalloped, platinum edge and gently coupe shape.